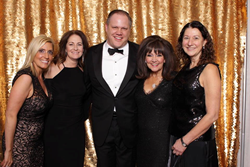 The McCaffrey Homes team received CVLUX’s coveted Diamond Awards, presented to five businesses and individuals who have given back to the community through charitable contributions. McCaffrey Homes — a leading local third-generation family homebuilder in California’s Central Valley — has been honored with two prestigious awards from CVLUX, including the luxury media brand’s top honor, the Diamond Award. Beneficiaries of McCaffrey Homes’ extensive charitable work include: The Central Valley Chapter of The American Heart Association, local medical centers and veteran organizations and area schools. The firm has also established a $25,000 McCaffrey-Knowlton Scholarship at Fresno State University for students pursuing a degree in city and regional planning. McCaffrey Homes is dedicated to building homes that last a lifetime, while meeting the needs of homebuyers at every stage of life. With three generations of experience, the McCaffrey team has built more than 9,000 homes and been honored nationally and locally for the quality of its construction and service. Currently, McCaffrey Homes is building three neighborhoods in Madera and Clovis, California: the Santerra and Ivy neighborhoods at Riverstone, a new master-planned community in Madera, and Santerra Clovis, the company’s newest community in Clovis, Calif. McCaffrey has also broken ground on Tesoro Viejo, their own 1,600-acre master-planned community in Madera, which won the 2016 Outstanding Planning Award in Innovation in Green Community Planning. For more information, visit https://www.mccaffreyhomes.com/ and http://www.tesoroviejo.com/. 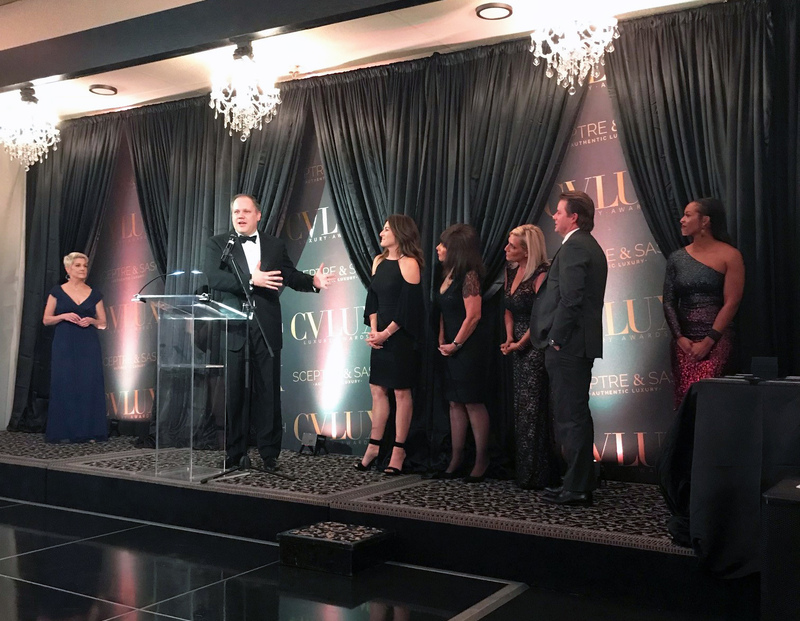 The McCaffrey Homes team received CVLUX’s coveted Diamond Awards, presented to five businesses and individuals who have given back to the community through charitable contributions.Members of the McCaffrey Homes' team accept CVLUX's Diamond Award.